Microsoft stepped up efforts to expand the reach of its Yammer work social network—and better compete with other workplace collaboration tools—announcing Tuesday that any organization with an Office 365 subscription will gain access to the service and have it automatically activated. The service will start rolling out to users in waves. The automatic activation will allow businesses to quickly spin up online communities for their workers. Microsoft will also let people sign in to Yammer with the same username and password they use to access all of their other Office 365 apps and services. System administrators will however have the ability to prevent users from accessing Yammer should they wish. 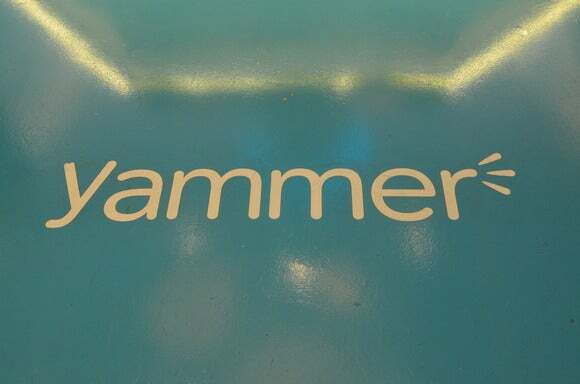 The first Yammer roll-out will just target businesses with fewer than 150 licenses and an existing Office 365 subscription that includes Yammer. Microsoft bought Yammer in 2012 for $1.2 billion. At the time, it was a high-flying technology startup in the hot enterprise social network space. But it hasn’t been taken up widely: Microsoft said that more than 500,000 businesses are using it, up from 200,000 businesses using it at the time of its acquisition. Yammer faces increased competition in the workplace collaboration space. Slack’s real-time chat capabilities have made it a popular choice, though that software doesn’t replicate the message board and information feed aspects of Yammer’s product. However, when Facebook for Work becomes publicly available—it’s now in a closed beta test—that offering will more closely compete with Yammer’s core functionality. It also remains to be seen if the model of an enterprise social network is actually useful for most people, at a time when email—despite its age and flaws—refuses to die as the dominant form of online workplace communication.